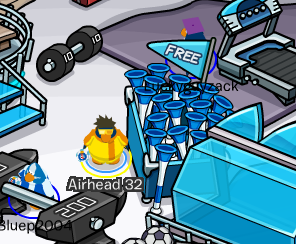 There's a new party and it's the Penguin Cup! Get ready to play soccer and score goals for your team. You first want to choose a team by clicking the soccer ball at the top right of your screen. If you open your map you will be able to see the newly update island. The stadium is in the middle and that's the main part of the party. We'll get to that later. Now it's time to support your team. There are four rooms on the island that supports each team. 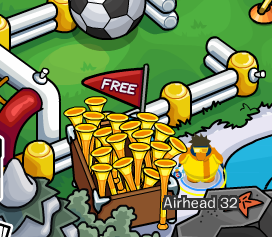 You can get free vuvuzuelas in each room too! If you want to support your team be sure to dress with clothes that are the same color of your team. You can design your own team shirt if you look inside the style catalog for June. Time to play some soccer! At the stadium you be able to sit in the stands and watch your team score or you can join in and play ball yourself! The more goals you get at the stadium the higher you'll appear on the top scores list at the CPSN. 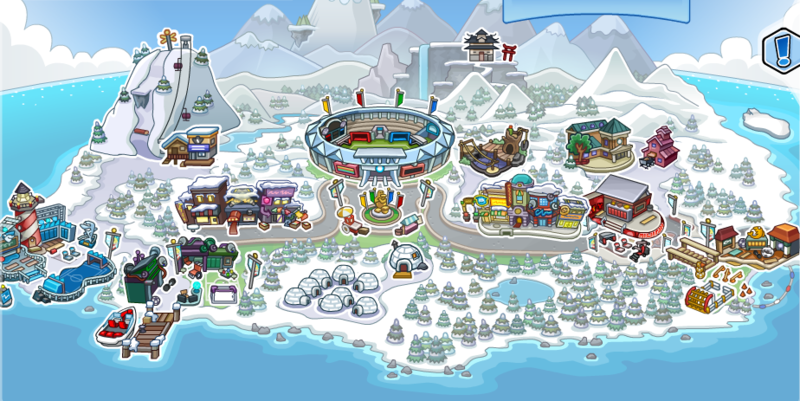 You can find the CPSN by going to the plaza on your map. 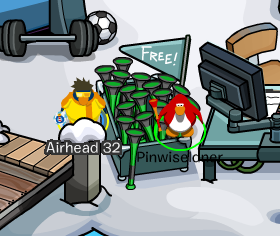 You see that item I am holding in my flipper? You will use that to play shootouts with people. The more shootouts you win the faster you'll be able to get these items. Here's a cool trick. You can switch teams by clicking the 'Switch Teams' button you can switch into other teams. Switching into other teams will allow you to unlock the other teams items. Cool right? Just a nice little trick. 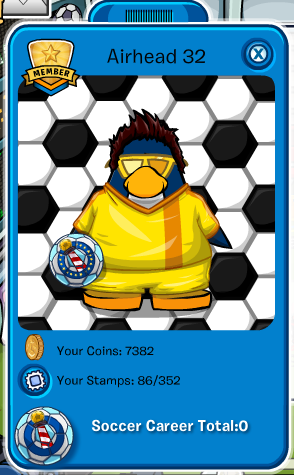 Also, every time you win a shootout game with another penguin your soccer career total will go up! 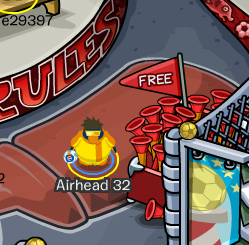 Also, there is a glitch where if you go to play a soccer shootout with someone it doesn't load. Thanks for the suggestion but I can only post the Frozen party cheats when it starts.